Some of The Top Reasons to Visit Tunisia! One can find a number of reasons to visit Tunisia if you choose this beautiful North African country for your next vacation. Like almost all North African territories, Tunisia is an Islamic majority country just like Egypt and neighboring Morocco. Around the year 2011, a revolution erupted in the country ousting the tyrant president Zine El Abine Ben Ali. After this time, the first democratic elections were held. Now Tunisia is undergoing recovery from the damages brought about by the revolution, but at the very least they manage a lot better than Syria and Egypt. One can visit rest assured that even in these transition times the government is successfully keeping hardline xenophobic Islamists at bay with its democratic and secular principles. Tunisia proves to be among one of most resilient nations recovering from internal chaos, and is still able to present itself globally as a modern country. Here are 5 of the top reasons to visit Tunisia on your next getaway! 1. Tourist life is beach life! One of the top reasons people book Tunisia flights is that this country has wonderful beaches. This should come as no surprise since Tunisia is located along the Mediterranean Sea. Tunisian coasts, like all other islands and shorelines along the Mediterranean region, are blessed with a very wonderful climate in any season apart from summer where it can get pretty hot. The country’s best golden sand beaches include Port El Kantaoui, Hammamet resort and the islands of Djerba and Kerkennah. 2. Let’s go for a desert safari! If a beach outing is not your thing, then you can definitely try a desert safari. The deserts in Tunisia are inhabited by Berbers, nomadic tribes of the Sahara. Don’t worry though, there are mostly very friendly and your tour guide will most likely know many of them. You can choose to go for a wild ride with a sturdy four-wheel drive or choose a relaxed, steady trip on the back of powerful yet gentle camels. Another of the top reasons to visit Tunisia is that locals in this region are still in touch with their old traditions. 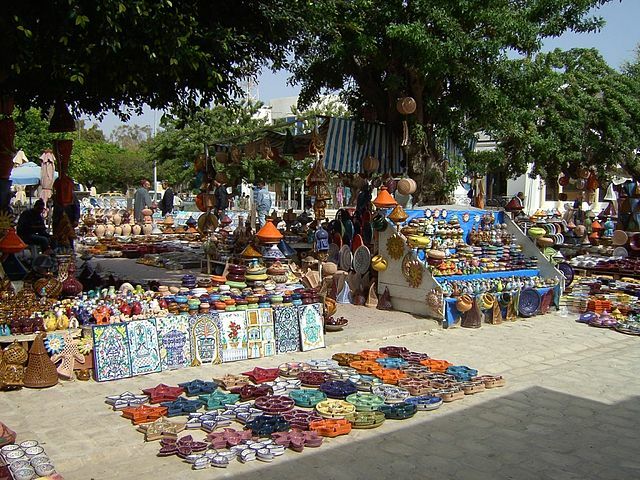 The souks (open market stalls) are a cultural attraction that draws tourists to the many tourists to enjoy seeing how locals interact with each other on a daily basis. People would rather buy things in Tunisia’s traditional souks not because of its cultural importance, but simply because there are more authentic and rare collectibles found there than in modern stores. Tunisia’s ancient history appears in many textbooks, but its clearest evidences are its monuments. This country is home to a number of magnificent mosques in North Africa such as the Great Mosque of Kairouan. Although Tunisia is predominantly Muslim, there are also magnificent relics of its Carthaginian origins. Tunisia was once called Carthage during the Phoenician era and it was then called the Granary Capital during the Roman rule. As the seat of North African Rome, this country is home to El Djem amphitheater.